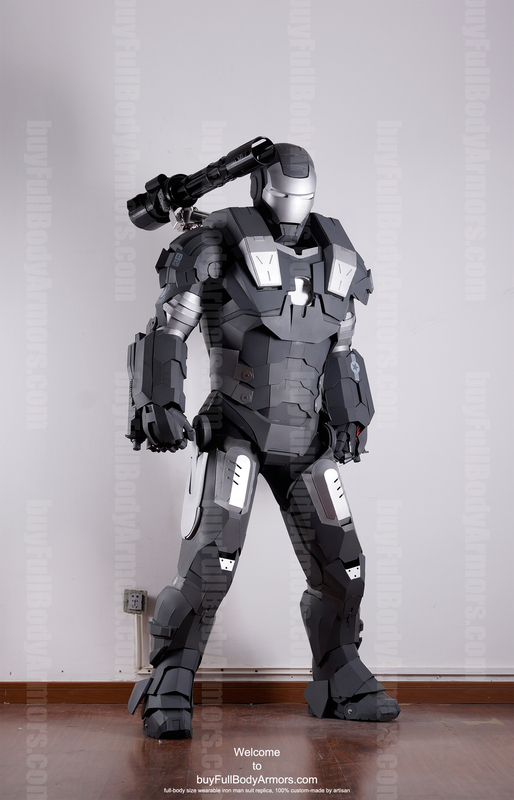 The most remarkable milestones in the development progress of the wearable Iron Man War Machine armor suit costume. The War Machine Suit Costume is Coming! 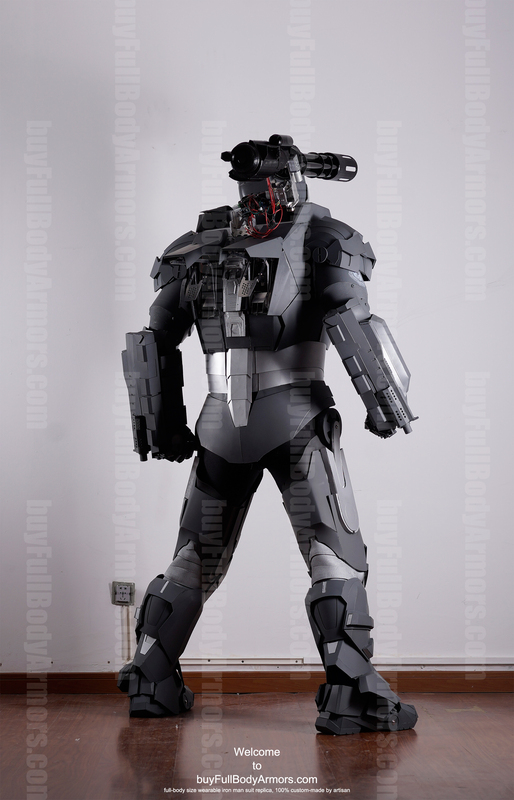 This entry was posted in News,Iron Man War Machine Suit Wearable Armor Costume R&D Full History,Iron Man War Machine Suit Wearable Armor Costume R&D Milestones and tagged War Machine armor,War Machine costume,War Machine suit,War Machine helmet,buy War Machine armor,buy War Machine costume,buy War Machine suit,buy War Machine helmet,wearable War Machine armor for sale,wearable War Machine costume for sale,wearable War Machine suit for sale,wearable War Machine helmet for sale on Feb 19,2015. 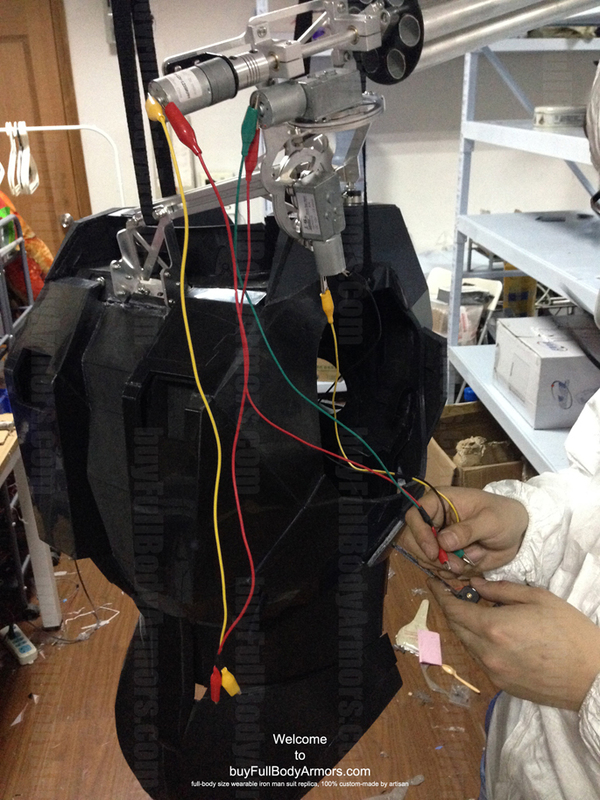 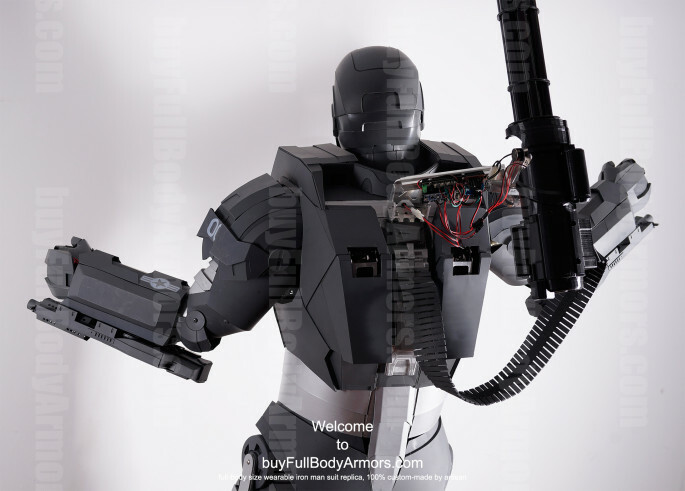 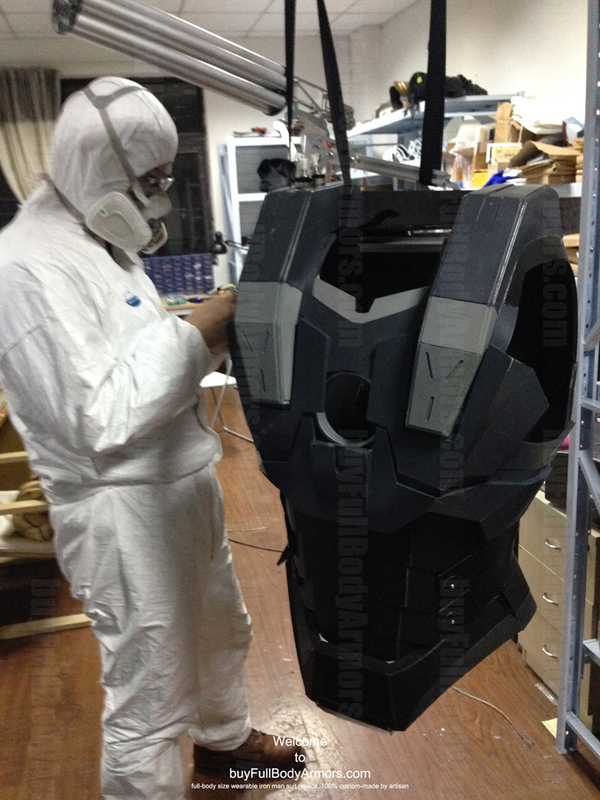 We have finished the torso part of the wearable War Machine suit costume and designed an aluminum alloy supporting framework for the direction control mechanism and the main body of the 6 gun-barrels. 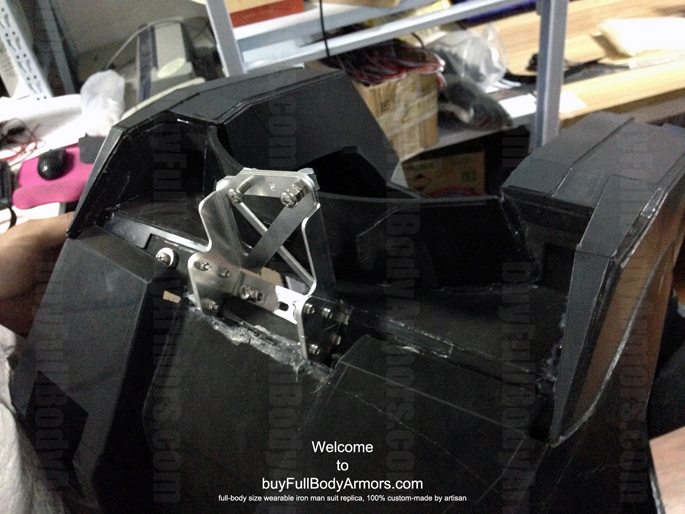 The aluminum supporting base are mounted to the back armor by four M5*14 screws and a balance structure. 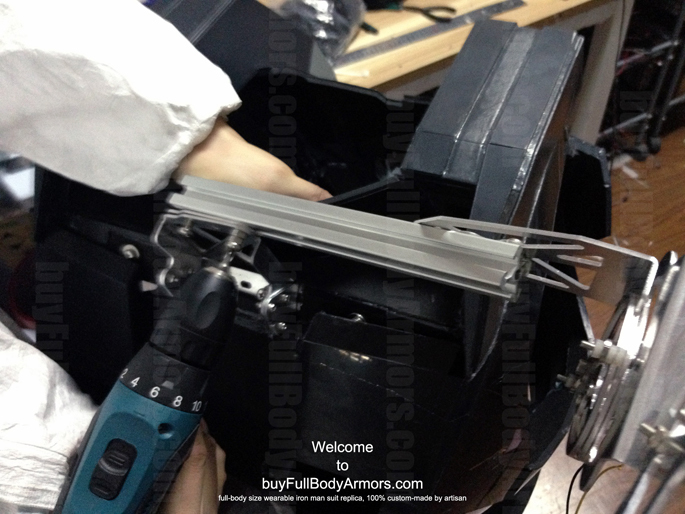 The mini-gun can be installed to or removed from the supporting base within 10 seconds with a motor screw-driver. The weight of the entire mini gun and the supporting structure will be around 1 kilogram. 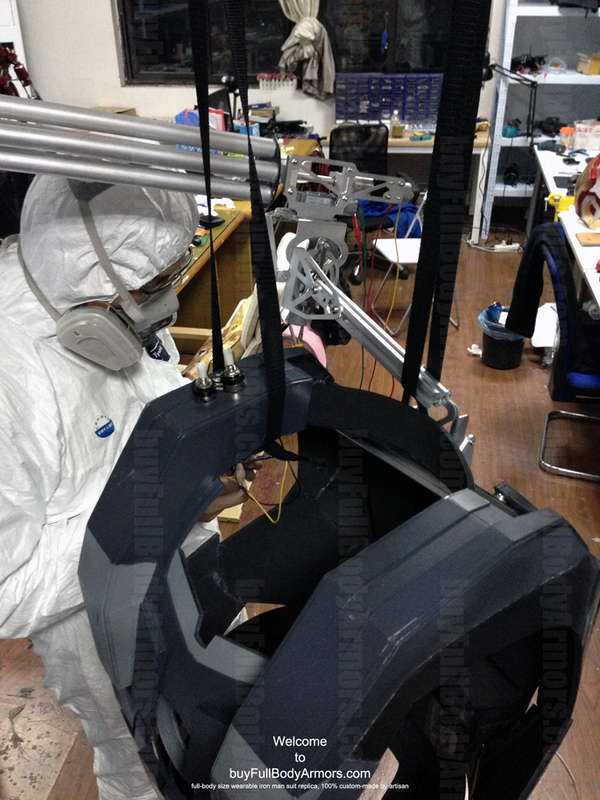 The decoration layer of the M134 Mini-gun was not shown in the photos. 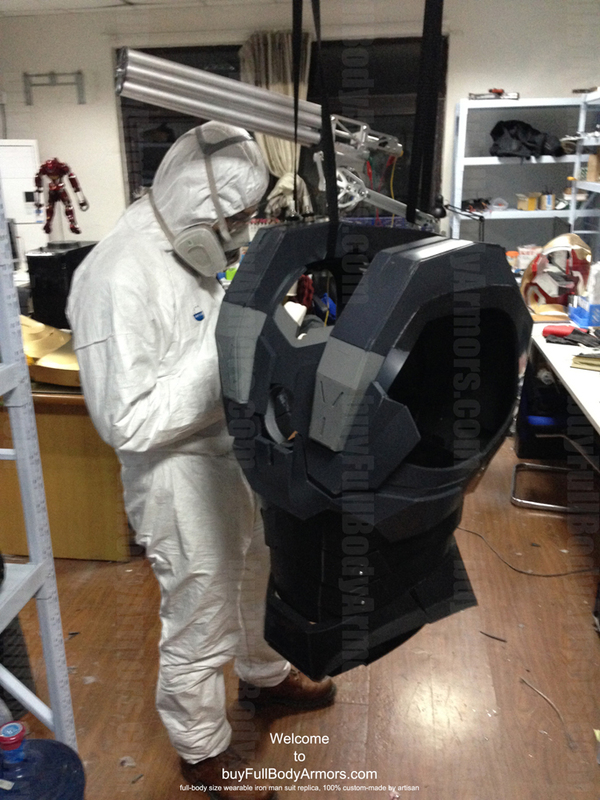 In the next post we will show you the entire finished prototype wearable War Machine suit costume along with some of the finished add-ons. We will start to take preorder this week. There will be discount for pre-orders. The earlier you place your pre-order the more discount you will get. 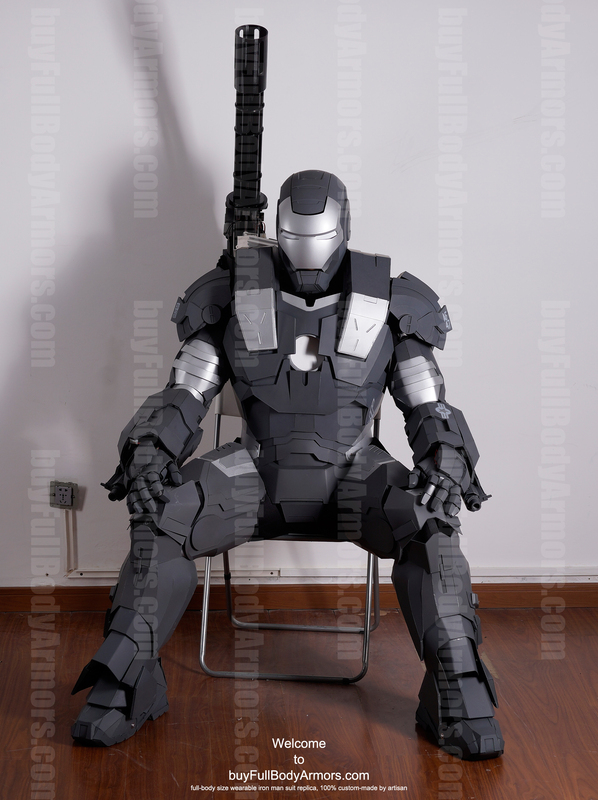 Get prepared! 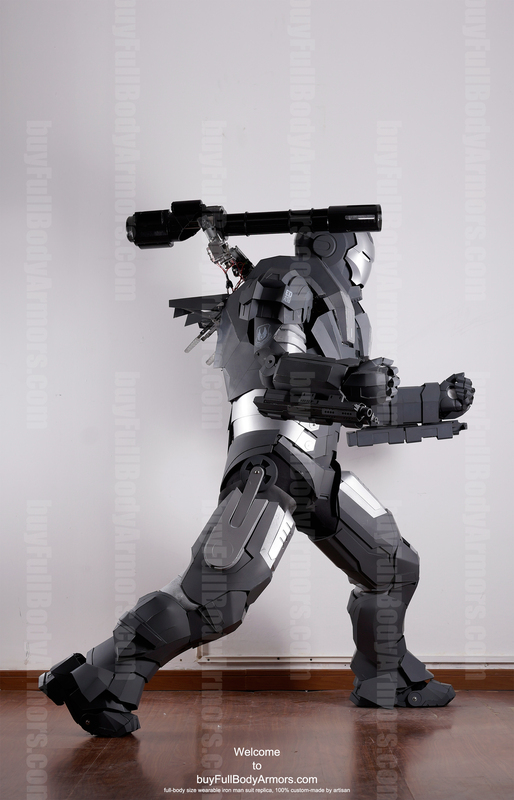 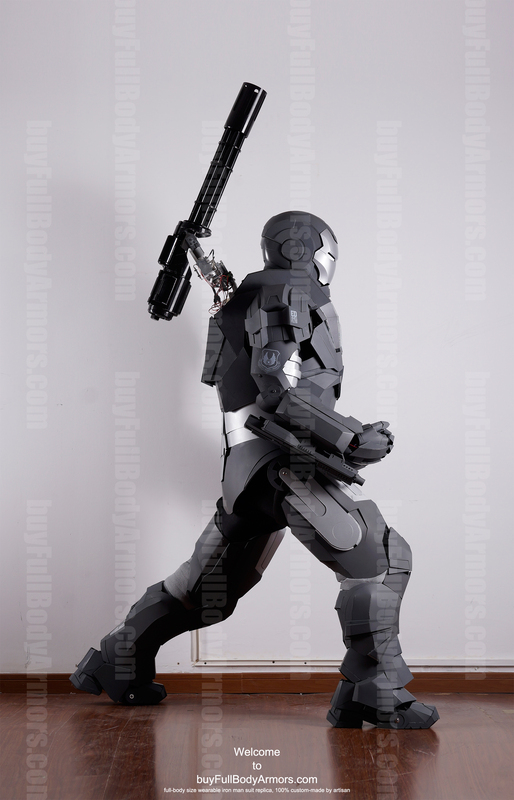 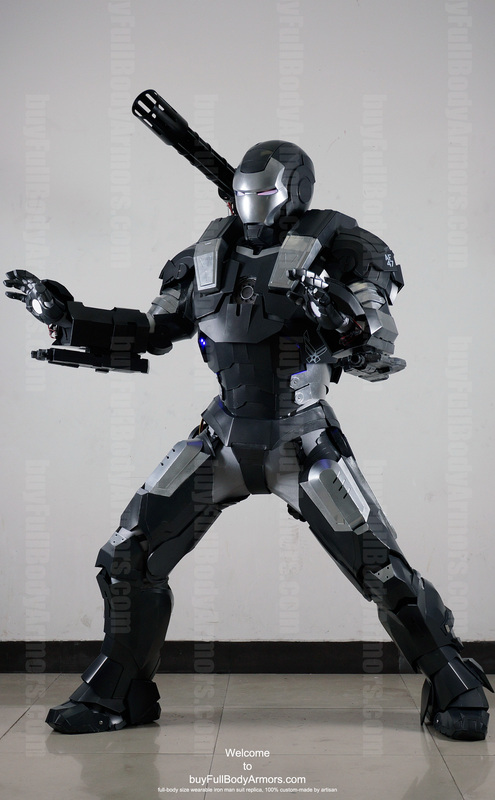 It seems the official release date of the wearable War Machine suit will be delayed one or two weeks but we will manage to ship the first suit by the end of January 2015. 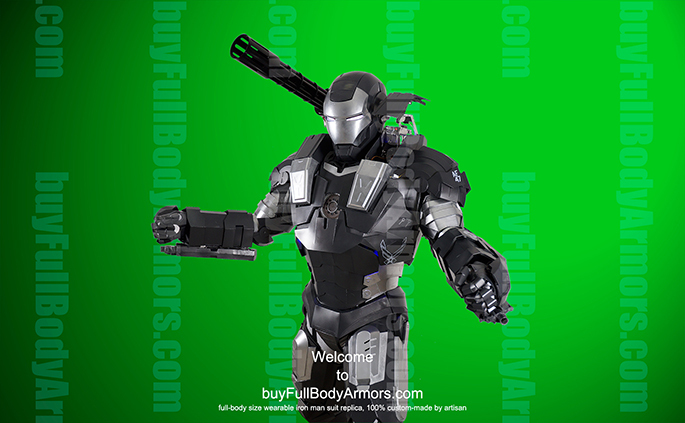 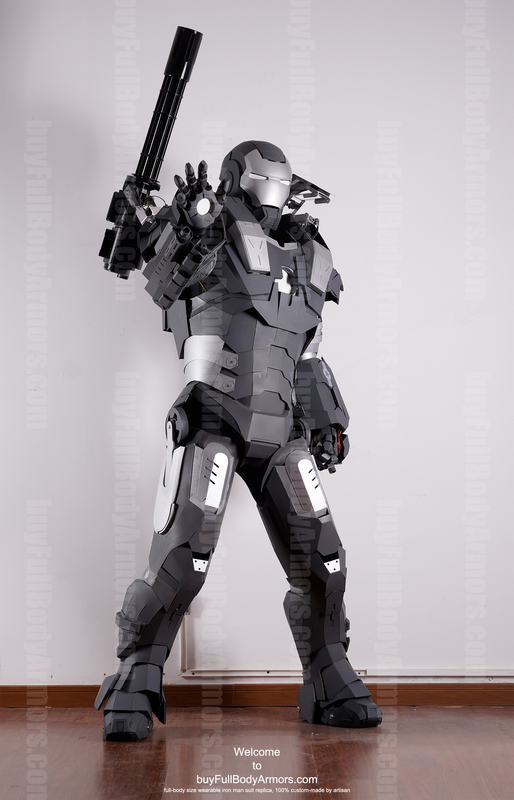 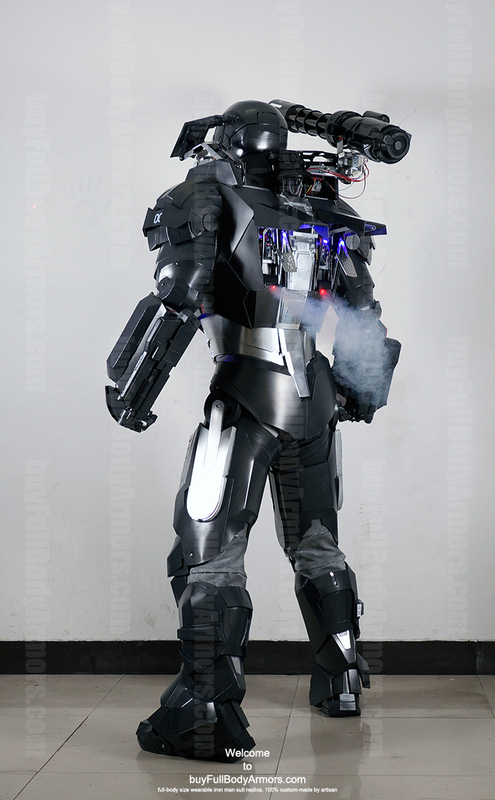 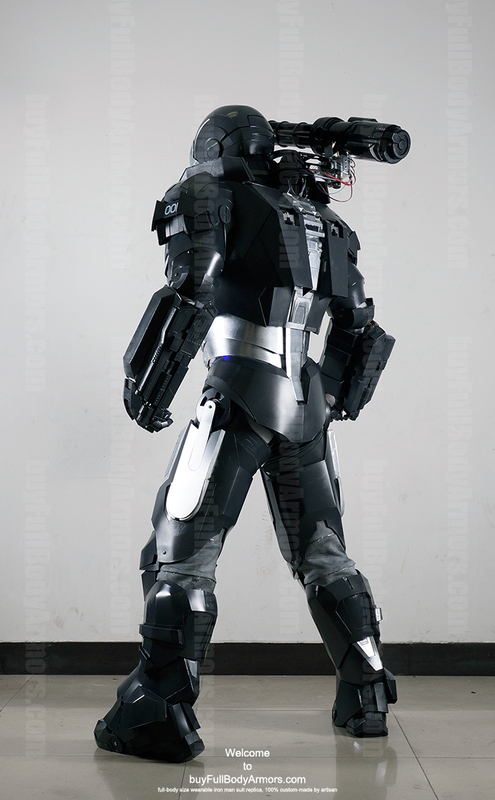 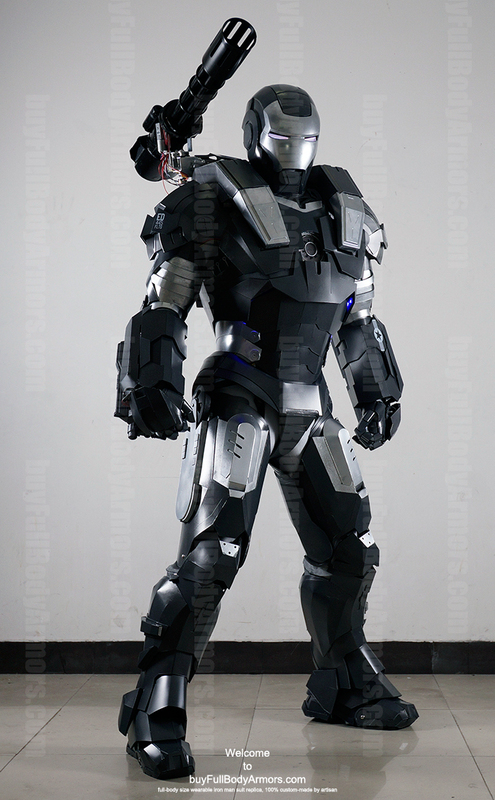 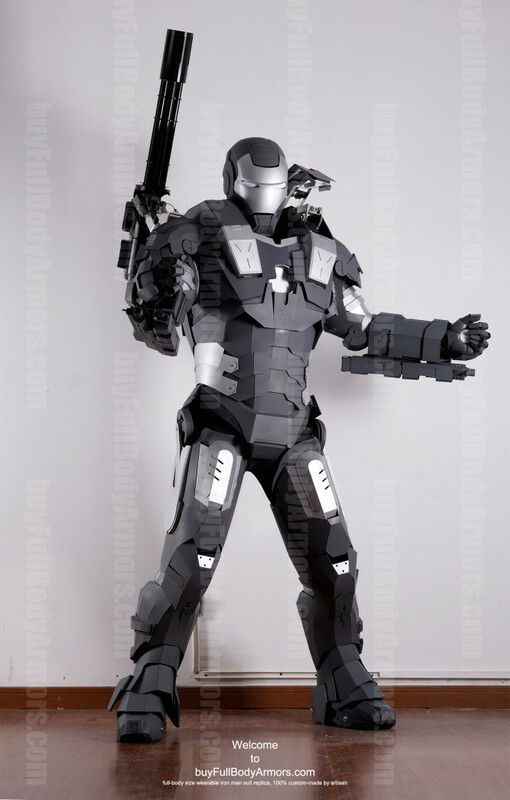 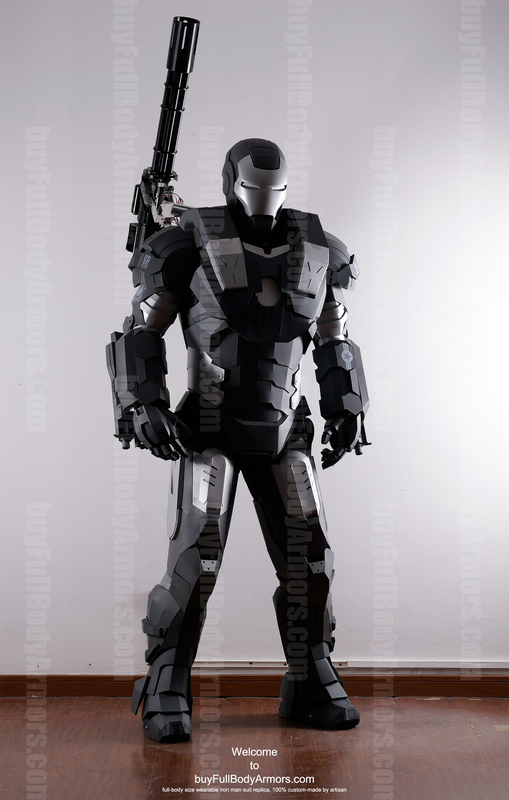 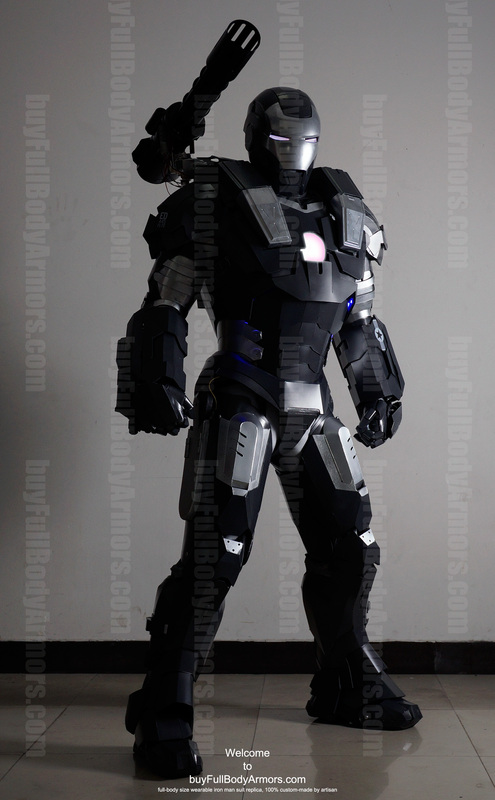 This entry was posted in News,Iron Man War Machine Suit Wearable Armor Costume R&D Full History,Iron Man War Machine Suit Wearable Armor Costume R&D Milestones and tagged on Dec 22,2014.